Services » Lotus Acupuncture and Holistic Health Clinic | Virginia Beach, VA | Jayne Dabu, L.Ac., Dipl.Ac. We offer a variety of holistic treatments. Please click on the following links to read a brief desciption of each modality. Acupuncture and Oriental Medicine has helped billions of people over the past 5,000 years. 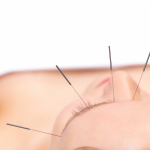 Acupuncture care helps to relieve symptoms and signs of many health problems. It can also uncover the underlying root cause(s) of those symptoms.The goal of this dynamic and integrated health care system is to activate the natural, self-healing abilities of the body. It can also strengthen and support the body to prevent future illnesses and diseases.Acupuncture is a method of encouraging the body to promote natural healing and improve function. 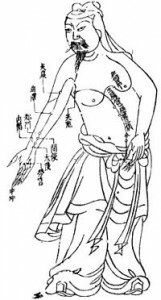 This is done by inserting sterilized, stainless-steel needles (that are as fine as a human hair) into specific points located near or on the surface of the skin which have the ability to alter various biochemical and physiological conditions in order to treat a wide variety of illnesses.Acupuncture is safe, natural, drug-free and effective. The perfect way to get well and stay healthy. Click here for more information on How Acupuncture Works.Our Oriental Medicine Techniques include: Acupuncture, Exercise Movements, Auricular Acupuncture, Chinese Herbal Medicine, Cupping, Electro-Acupuncture, Qi-Gong, Moxibustion, Scalp Acupuncture, Acupressure/Tui-Na, Gua Sha, Tai Chi. Chinese Herbal Medicine is one of the major pillars of Traditional Chinese Medicine, a comprehensive health care system used for over 3,000 years in China and in the world today. Chinese Herbal Medicine is one of the great herbal systems of the world with an unbroken tradition going back to the 3rd century BC. People in China have been using natural herbs to treat a wide variety of diseases and conditions for thousands of years.Chinese Herbal Medicine is composed of over 5,000 plant (composed of roots, bark, flowers, seeds, fruits, leaves and branches), mineral and animal substances. However, about 600 of these herbs are commonly used. These herbs are combined into formulas that address health problems and support the mind-body system.Chinese Patent herbs are premixed herb combinations according to the traditional formulas developed by experts in traditional Chinese medicine through over 3000 years. They are similar to over-the-counter-drugs and usually in the form of pill, capsule and liquid. The advantages of Chinese patent herbs are convenient, ease to take, less expensive. Prescribed herbs are mixed by a herbalist according to an individual patient’s symptoms and diagnoses.In general, prescribed herbs are more effective than patent herbs because the prescribed herbs are tailored to your symptoms and conditions exclusively by your herbalist.Herbs can treat a wide variety of diseases and conditions. Compared with chemical medicines, Chinese Herbal Medicine is much more gentler and safer because it is made of natural herbs.Most of Chinese herbs do not cause side effects. Even some side effects that do occur among a few herbs, those side effects can be easily counteracted with other herbs. 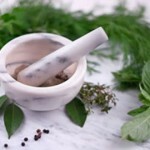 For these reasons, people turn to herbal therapy for a number of indications. More and more people rely on Chinese Herb Medicine as an alternative after chemical medicines failed. Nutrition Response Testing is a non-invasive system of analyzing the body to determine the underlying causes of ill or non-optimum health.Our clinically proven system may be quite different from any other healing practice that you may have experienced.We will have some questions for you before and during the testing. The actual procedure is simple and direct, with the body providing all the information and feedback needed. We use the extraordinary properties of the human cells and tissues to bring about healing and health changes….exactly as Nature intended. The body response to the procedure reliably and consistently. This feedback is so precise that it opens the door to a safe and lasting recovery, even in cases where everything else has failed. Designed Clinical Nutrition is defined as: DESIGNED: Especially prepared for you, based on a specific plan. CLINICAL: Pertaining to the results achieved in clinical use on a multitude of patients over many years. 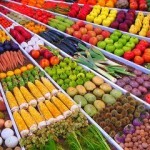 NUTRITION: Real food, as designed by Nature, to enable the body to repair itself and become healthier. After you receive your analysis, you will get a specifically designed nutrition program, based off the information your body provides. Most programs include dietary suggestions (as well as whole food supplements) to aid your body in healing itself. 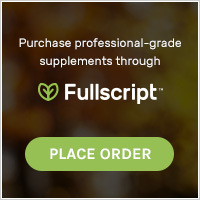 Concentrated whole food supplements are used. These have been prepared by a unique process that preserves all of the active enzymes and vital components. An amazing system for handling stubborn health problems due to allergies. Accelerated Allergy Clearing Technique (AACT) is a natural, drugless, painless, non-invasive method that can be used safely for anyone from infants to seniors to eliminate allergies.As opposed to the Western way of handling allergies through medications, drugs and multiple shots, we handle allergies using acupuncuture gate points and cold laser therapy. 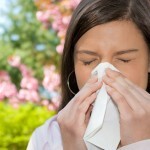 With this technique, sensitivities to allergens are cleared one at a time and done in in a specific sequence. Depending on the individual, one or more items are cleared on a given day. In many cases, that’s all it takes. People who are highly sensitive may sometimes require additional combination clearings.The treatment is painless and safe. More than one substance can be treated at a time. On average, a substance may require 3-6 treatments, some more, some less. Homeopathy is the principle of treating “like with like” dates back to Hippocrates (460-377BC) but in its current form, homeopathy has been widely used worldwide for more than 200 years. 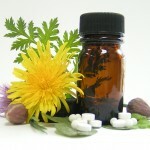 Homeopathy is a system of medical therapy that uses very small doses of medicines, or remedies. These remedies are prepared from substances found in nature. Homeopaths use ultradilute “micro”doses made from not only plants, but minerals or any other substance found in nature. The homeopathic doctor chooses the proper remedy by following a special rule of nature called the Law of Similars. This law states “like cures like,” or that a medicine can cure a sick person if it can cause similar sickness in a healthy person. The original substance is diluted in liquid repeatedly, and vigorously shaken with each dilution. These very small amounts of remedies can act very strongly when used properly. Also, because the remedies are very diluted, they are extremely safe. The clinical experience of homeopathy shows that the micro-dose is effective: It works upon comatose people and is safe for infants, animals and pregnant women. Tuina is an Oriental Bodywork Therapy that has been used in China for 2,000 years. Tuina uses the traditional Chinese medical theory of the flow of Qi through the meridians as its basic therapeutic orientation. Through the application of massage and manipulation techniques Tuina seeks to establish a more harmonious flow of Qi through the system of channels and collaterals, allowing the body the naturally heal itself. Acupuncture Facial Rejuvenation / Acupuncture Facelift is a wonderful non-invasive way of improving one’s appearance. It is generally a safe, painless, non-surgical procedure for those who want not only to maintain beauty, radiance and vitality in the face, but also improve their overall health and well being. It is non-invasive with little or no side effects.When done by a professional, the treatment improves the circulation by harmonizing the body, reducing inflammation, and bringing blood and oxygen flow to the face.Acupuncture Facial Rejuvenation is becoming more popular and have even been featured in the mainstream media, such as on ABC Television’s “Good Morning America” and Public Broadcasting System’s “Healthweek.” Studies show that among 300 cases treated with facial acupuncture, 90 % had marked beneficial results with only one course of treatment (International Journal of Clinical Acupuncture, 1996). Auricular acupuncture protocol is used around the world to help people deal with and recover from substance abuse. The NADA protocol has been shown in a variety of clinical settings to be beneficial in the process of detoxification from substance abuse as well as to help with the emotional, physical and psychological attributes involved in addictions. The length of the treatment depends on the status of the patient. In general, the needles are left in for 25 – 60 minutes. This protocol can be used for smoking cessation, alocoholism, food addictions, etc. 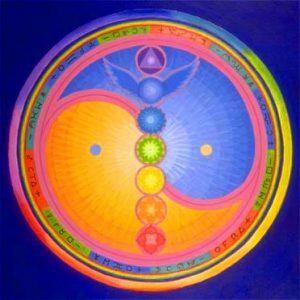 External Qi Healing is healing without medicine. It has a history dating back to approximately 5,000 years ago. The other name for External Qi Healing is “Wai Qi Liao Fa or External Qi Healing” (EQH). It is an ancient technique based on the idea that a healer’s energy can be used to influence the energy of the patent, to facilitate a shift in the patient’s own energy creating more balanced state, as a means of supporting the natural self-healing process.Basically, the practitioner cultivates their own energy to a point that the excess can be shared with others who need the help. 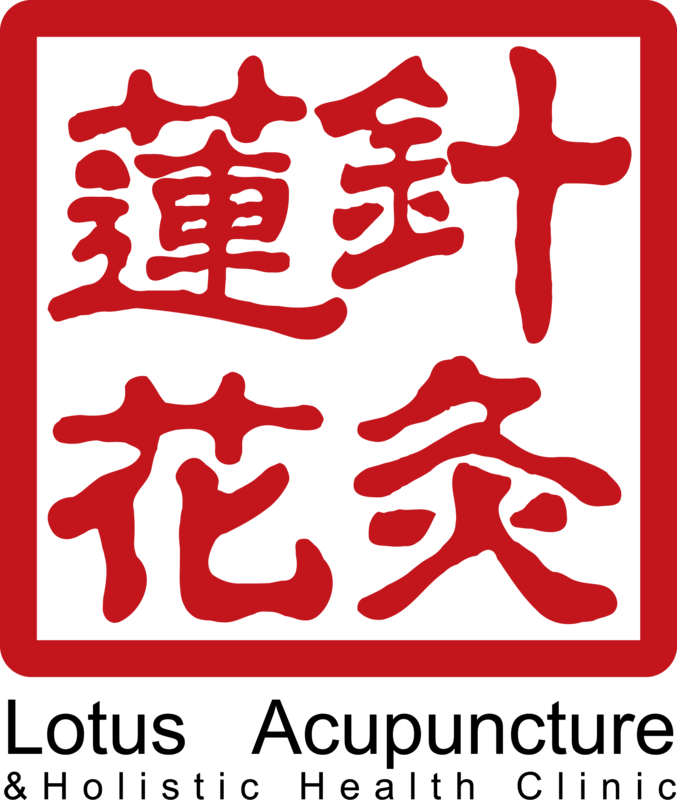 EQH is a non-touching modality.It is based upon principles of Taoist philosophy and Traditional Chinese Medicine theory. It works invisibly, but the results are easily visible.Wu Dang EQH differs from other energetic modalities because its tradition is whole and unbroken, passed down through the centuries from Master to student. 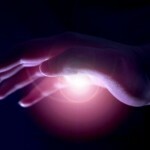 It differs from Japanese Reiki in that it is not a purely intuitive art but adheres tightly to TCM theory. Nor does it rely upon “secret symbols” for it to be effective. Unlike Therapeutic Touch, Craniosacral Therapy, or Medical Qi Gong, EQH does not add in scientific medical thought to make it more palatable the Western medical culture.Jayne Dabu, L.Ac. has succeeded in attaining the 150-hour certification of Master Yun Xiang Tseng in Wu Dang External Qi Healing. When detoxing the body, Traditional Chinese Medicine suggests cleansing the body at every change of the seasons.Our Lymphatic System plays an important role in the immune system and helps maintain the balance of fluids in the body. Lymph nodes filter out harmful cells for removal by the body’s defense system. Like a drainage system, fragile vessels carry lymph, composed of extra fluid, protein, dead cells, bacteria and cellular waste products from body tissues back towards the circulatory system.When we change our regular lifestyle routine, change our diet, move to other parts of the country with different vegetation and the associated allergens, succumb to stresses of all sorts, acquire new pets or have health challenges, we might want to push the reset button on our body’s lymph system.Lymph flow is activated by contraction of lymph vessels, muscle movement during exercise, and deep breathing. Manual Lymphatic Drainage (MLD) is a specific, slow and gentle massage, mimicking the body’s own rhythm of lymph flow. MLD, administered by a trained therapist, stimulates that flow and brings about a general detoxification of the body. While immersed in the NRT program, we recommend including no less than 2 MLD sessions. Since the NRT program runs for 12 weeks, it is very beneficial to schedule an MLD session in your your 6th week and at the end of the 12th week. Your therapist will then evaluate if additional sessions might be beneficial. Appointments can be made by calling our resident massage therapist, Evamaria Burgstaller. She is schooled in both Vodder and Chickly methods of Lymph Drainage plus has many years of experience. Her office is located inside Lotus Acupuncture, her phone number is 757-404-5703 and you can also reach her by e-mail: burgstaller.e@gmail.com. All sessions last one hour and the charge is $ 80, payable by check or cash only. If you need a coded invoice to submit to your insurance, please let Eva know to bring it to the session.